The Red Lantern is a rogue-lite, resource management narrative game where you and your team of 5 sled dogs, lost in the wilderness, must navigate the ever-changing events of the Alaskan bush to find your way home. Can you imagine going on a journey like this? For the brave few from around the world, the Iditarod is an incredible feat to overcome, and our friends at Timberline Studio are making this daring adventure a video game reality on Nintendo Switch. 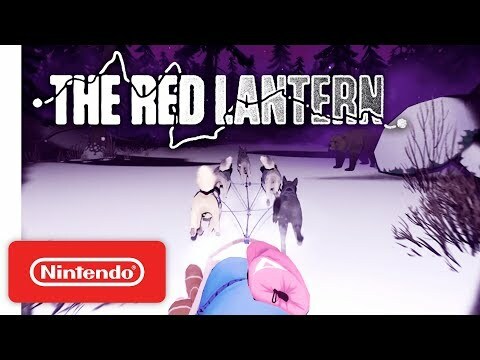 The Red Lantern is set in Nome, Alaska, where you play as The Musher as she sets out to train for the grueling Iditarod race. With your trusty crew of dogs, navigate the ever-changing landscape and events in the Alaskan wilderness as you find your way home. Combining roguelike elements into this story-driven adventure game, where hundreds of different events can occur—like fending off bears, resisting frostbite, attending your dogs, or receiving a signature moose-licking. And the Nintendo Switch version boasts gyro controls in Handheld Mode, allowing you to look around your environment with a simple turn of the system. The upcoming The Red Lantern Switch release date is 2019 in the US and the UK. Notify me when The Red Lantern is available.